I have to admit, I miss the take-out salads of North America and Europe, and the reliable salad bars at Whole Foods Markets where I would spend $3 for breakfast and $4 for lunch with the added bonus of great variety (ready-made organic quinoa, etc. ), WiFi (an instant office), and a blissful array of natural products to return home with – organic shampoos, other organic products – body creams, vitamins, household cleansers. No such all-in-one place in Cuenca. I grew up eating fresh salads. I realize I am not standard issue and am more particular than most. But if you are at all like me, you’ll survive… here is what I have found…. 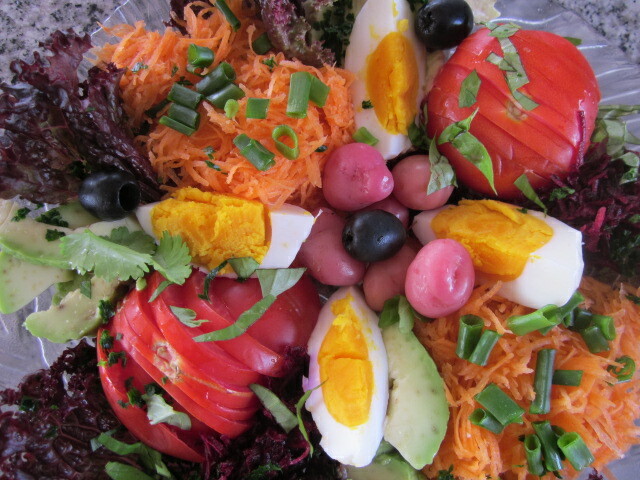 The closest approximation of take-out salads, as North Americans and Europeans know them, is at the upscale Gourmet Deli at the Hotel Oro Verde on Ordonez Lasso. Plan on spending $5-$6, not including something to drink; it’s a quiet place to be if you plan to eat your salad there. 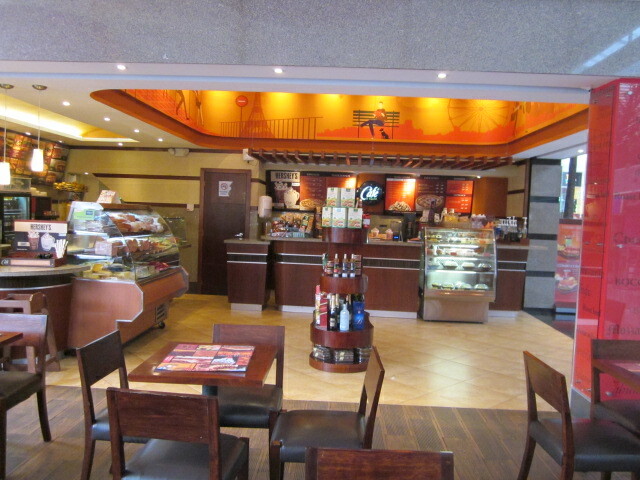 Another place I find to be reliable is the Spanish deli chain La Espanola at Mall del Rio (also in Guayaquil and Quito). 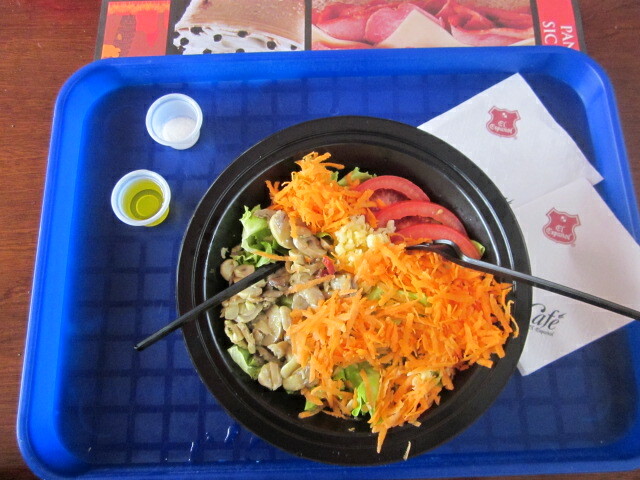 The servers behind the counter will create the salad to your specifications, i.e. without meat (all their meat is processed), without cheese, etc., and serve you Spanish olive oil and lemon on the side. See photo below; the white items on the left are mushrooms which they substituted for meat or poultry. If you are planning to eat out as opposed to take-out, you can find salads that have a familiar look to them at California Kitchen on Luis Cordero near Calle Larga, where you will feel like you are in the U.S. (a favorite ex-pat restaurant, well-managed by a delightful American family from San Diego), and at the intimate Windhorse Café on Calle Larga (run by precious Americans, former Peace Corps volunteers) where the salad(s) of the day will contain organic ingredients from their own garden or ingredients they’ve selected at markets. 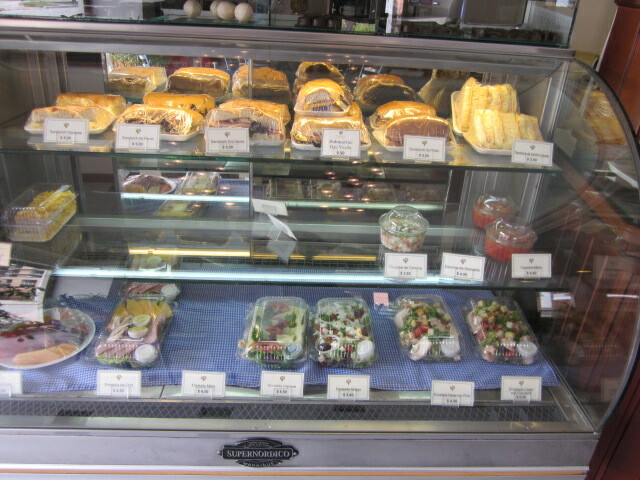 Other salads catering to “Western” palates can be found at Coffee Tree, Hotel Victoria, Mansion Alcazar. Another option is to find the ingredients and make your own salad. I am fortunate to have a French friend in Cuenca with refined food tastes; she makes it a point to be at an organic market at 6 am to find the freshest produce possible. She washes all she returns with in vinegar and water and puts a lot of love energy into her creations. 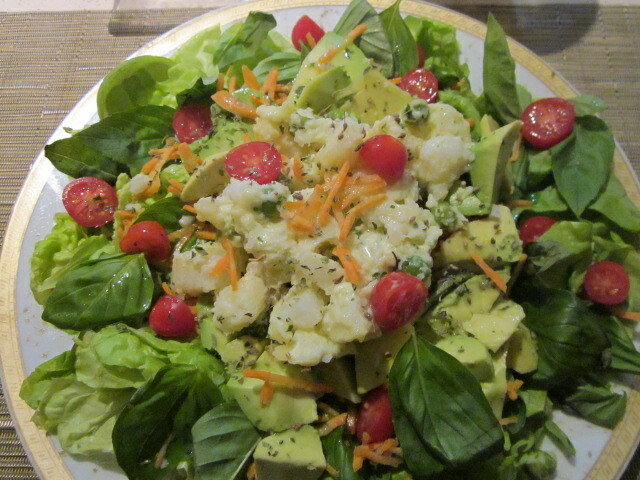 Here below is her 100% organic salad made from Cuenca area produce, need I say that it was delicious?! 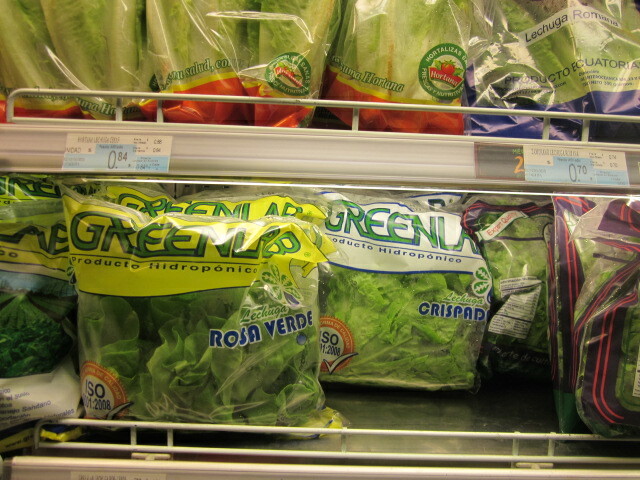 Dried oregano, from Supermaxi, more flavorful than any I’ve purchased in the U.S.
Here’s to your discovery of healthful salads and salad ingredients in Cuenca! Buen provecho! !